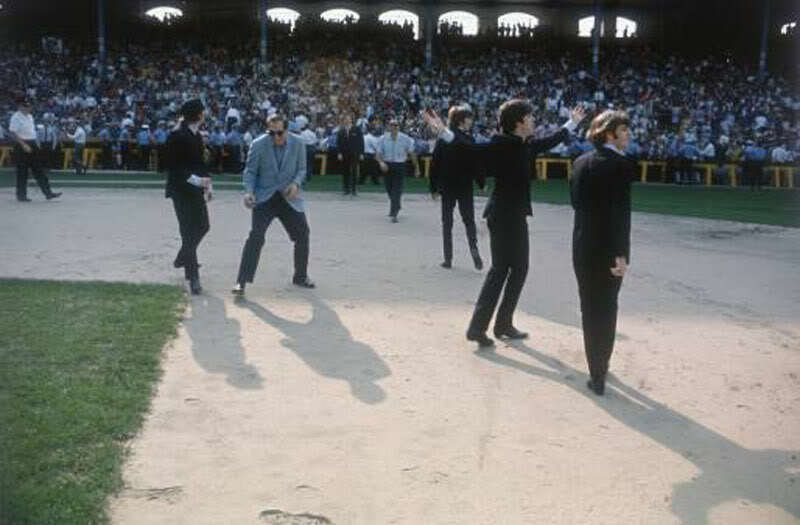 This amazing photo of The Beatles is from an August 20, 1965 concert in Chicago, Illinois at Comiskey Park. 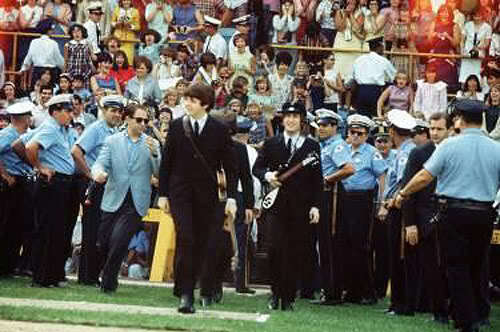 There is so much to soak in, you can see roadie Mal Evans in the background behind Paul McCartney and you also can also clearly see their amps and back-up guitars. 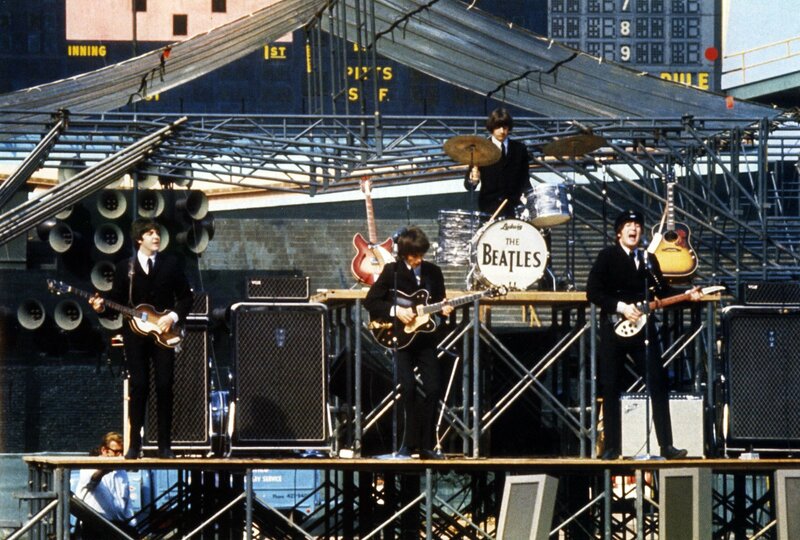 Also, the stage does not look very safe and It looks like they are standing on a piece of plywood. Not a huge production for the biggest band in the world. 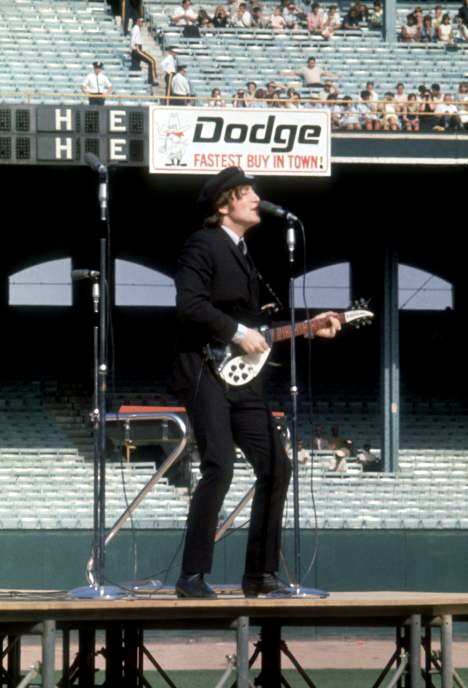 Check out these awesome photos taken 11 days later of The Beatles live at The Cow Palace. What Book Is Bob Dylan Holding In This Album Cover?